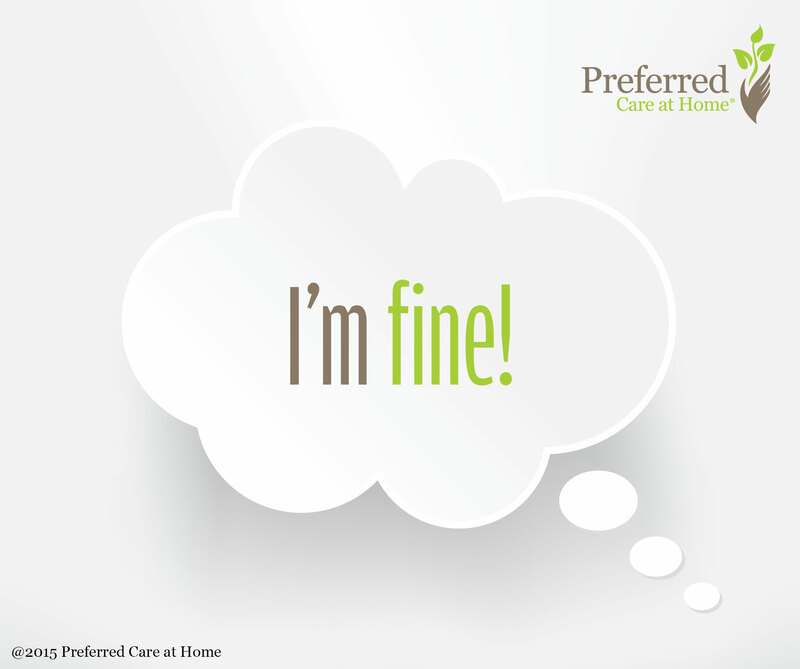 The Language of Caregiving: I'm FINE! The Language of Caregiving: I’m FINE! Greetings one and all! I hope you are doing well and loving life. Once again, I invite you to take a deep breath, pour a cup of coffee or hot tea, and relax. Today, I want you to seriously consider how you respond to the very common question “How are you?” We hear this question numerous times throughout the day. Family. Friends. Strangers. Service providers. They all seem so interested in our well-being! And how do we typically respond? I’m FINE. I’m just FINE! The words roll off our tongues without a thought. No hesitation. And yet, the words often belie the reality of our situation. When dealing with the seemingly endless challenges posed by caregiving, we are often anything but FINE! As a personal caregiver when I was a teenager, I became fluent in the language of caregiving. I deflected the compassionate inquiries of family and friends with bold reassurances.The more dire the circumstances, the more adamantly I proclaimed to the world that I was doing quite well, thank you! Shakespeare’s famous quote from Hamlet eloquently describes this all too common tendency of caregivers, “The lady [or gentleman] doth protest too much, methinks.” It is apparently a timeless aspect of the human condition—struggling to admit that things are spinning out of control. Reluctant to ask for help. So instead, we project a facade of calm and certainty—I’m FINE! FINE maintains the illusion that we are in control. FINE reinforces a state of denial. FINE projects an image of confidence and self-assurance. I appreciate the desire to be FINE when knee-deep in the journey of caregiving. When I cared for my mom, I desperately wanted to feel in control of something. I needed to deny the reality that her illness was terminal. I wanted to be seen as a capable and competent caregiver to my mom. And, I took great pride in handling anything and everything that was asked of me. However, being FINE resulted in devastating, unforeseen consequences: social isolation, compromised physical and emotional health, spiritual despair, and complicated grief. I didn’t fully comprehend the implications of being FINE until twenty years after the death of my mom. Better late than never, right? So, I hope that by sharing a bit of my caregiving experience, perhaps you will realize sooner than I that FINE is not a desirable state of being. If not FINE, how should you be? This may seem a bit presumptuous of me since I don’t know you, but I have a suggestion that will hopefully serve you well. Plain and simple—BE HONEST. When family and friends ask how you are—tell them! Angry. Sad. Lonely. Overwhelmed. Grateful. Happy. Content. Exhausted. Relieved. Whatever! Discover the courage to be vulnerable with those who love and care about you. By so doing, you invite other people to share a bit of the journey with you thus enriching the experience for all involved. BE HONEST and you have a much better chance of being well.